Bryan Thomas Schmidt is a Hugo Award-nominated editor and author. His anthologies include Shattered Shields, Mission: Tomorrow, Galactic Games, Little Green Men–Attack, and, Beyond The Sun. Bryan was the original editor for The Martian by New York Times Bestseller Andy Weir (Crown, 2014). He has also edited or written gaming content for Wars, Dark Expanse, and Ascension, as well as writing tie-in fiction in The X-Files and Predator. "Space opera is celebrated in this capacious anthology with stories from a stellar lineup of its best contemporary practitioners....irresistible to space opera enthusiasts." 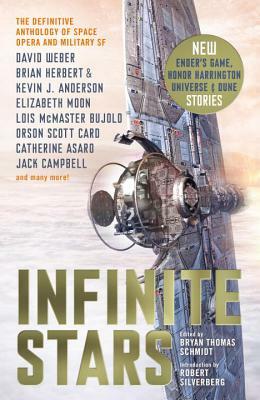 "While the broad sampling means readers may not enjoy every tale, the wide variety on offer makes this volume worth a look for any sf reader, regardless of their particular genre tastes."